Mix all ingredients, mix well! 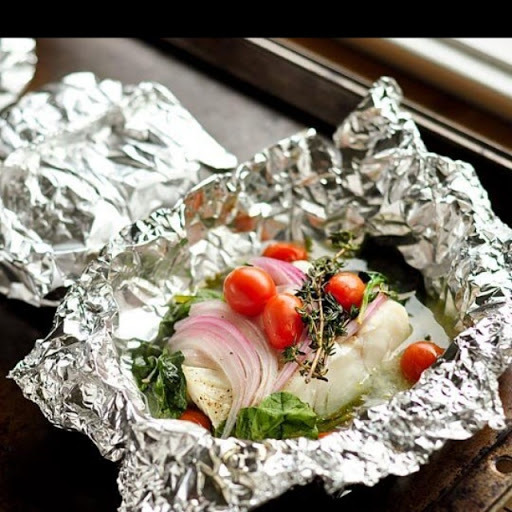 Wrap it up in a foil! Leave space on top for it to fluff up! Bake, 170ºC, 10min, until fluffed! Top with tomato & onion! Enjoy!